When you’re working hard, trying to advance toward your business goals, but it feels like you are going in circles. You try one approach, and it feels like you’re moving in the right direction. You try it again, and it’s like you’ve taken two steps back. You try another strategy that’s working for a number of other people, only to be majorly disappointed when you get a fraction of the results others received. It’s enough to make you want to scream. Knowing exactly where you want to go, while making limited progress despite all your efforts. Don’t fret. You can make it to your goal. And you can do it quicker than you may have imagined. All you need to do is follow the time-tested formula that’s been transformative for many who are at the top of their field. 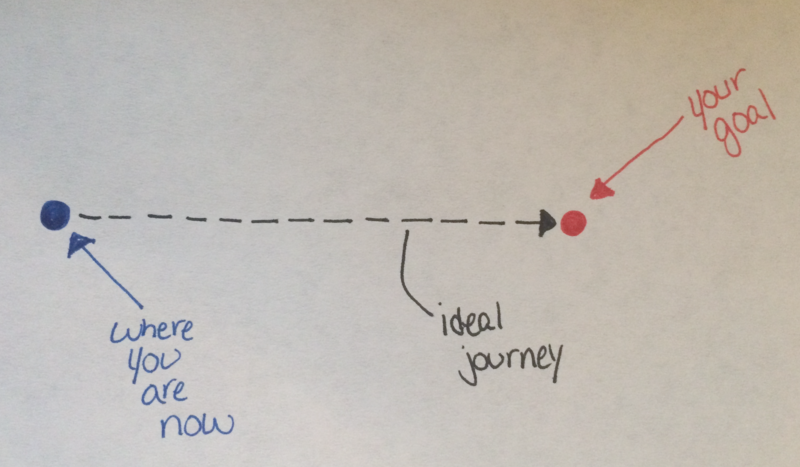 As entrepreneurs, it would be great if our journey to reaching our business goals resembled a straight line. But rarely does it happen that way. So a lot of times, we end up taking a bunch of detours. And while there is a ton to be learned from the journey, when you’ve got bills to pay the scenic route to making a living is no bueno. So when it comes to minimizing the detours, the stops, the false starts, and the disasters along the way, one of the best things you should do is to study the path of those that have come before you. Specifically, you should get a business mentor. Life is short, and your time for learning and creativity is limited. Without any guidance, you can waste valuable years trying to gain knowledge and practice from various sources. Instead, you must follow the example set by Masters throughout the ages and find the proper mentor. The mentor-protege relationship is the most efficient and productive form of learning. 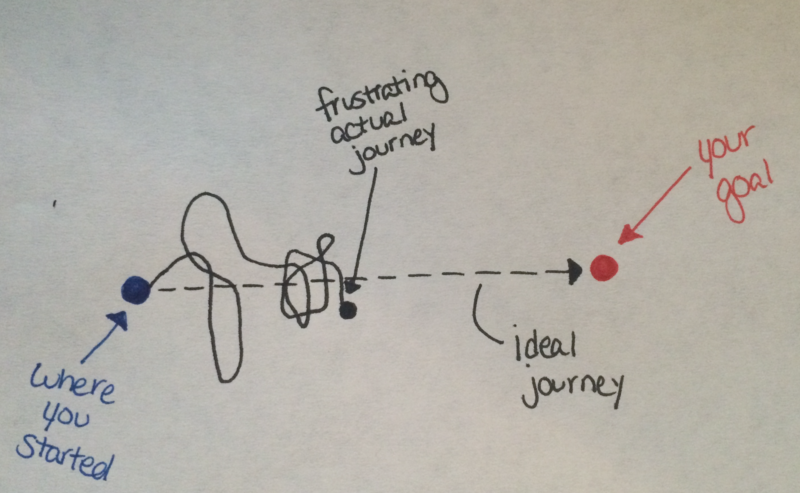 In other words, with a mentor, your journey to reaching your goals will more closely resemble a straight line. You can cut years off of your learning and progress by spending some time sitting at the feet of those that have come before you as you learn how to get from where you are, to where you want to go. Let’s get clear on a bit of terminology. A mentor is your light shiner. Someone who has been where you want to go. She inspires you by showing you what’s possible for your own path to making life better. And by learning from her experiences, observing what she’s done, and getting insight into how she got there, you will greatly accelerate your journey to reaching your goals. Over the years there has been plenty of anecdotal evidence that mentoring is beneficial. But now data is starting to support what many have long known to be true. 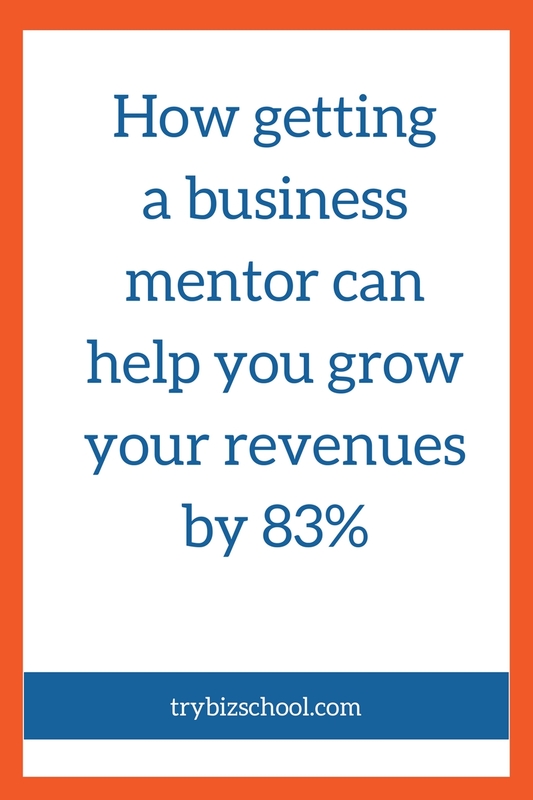 One research study showed that businesses with a mentor increased their revenues by 83% over a 12-month period, vs. 16% increase among those businesses without a mentor. That 83% increase amounted to a little over $20,000! Increased reveneues is a major part of the end result of working with a mentor. Here are some of the specific ways in which your light shiner goes about helping you reach your goals. There’s no need to figure everything out on your own. Especially if you’ve got someone willing to share their valuable insights on what does and doesn’t work based upon experience. The right mentors know where to focus your attention and how to challenge you. Their knowledge and experience become yours. As a result, you can take the knowledge and experiences from those masters who’ve gone before you to create a plan that works for you. Strategically leveraging relationships is essential to helping you grow your business. The relationship you have with your mentor is an important place to start. But over time, your mentor can open the door for you to connect with other key people who help you. John Lee Dumas is the host of the hit podcast Entrepreneur on Fire. He’s built a multi-million dollar business around his show in a short time period. Your mentor helps put you in a position to get to know the right people. When you’re your own boss, it’s easy to get stuck in your head. It’s easy to get wrapped up in thoughts of self-doubt and second guessing yourself and your decisions. As a result, it may take you a lot longer to move into action with activities that will bring you closer to your goals. But when you’ve got a trusted mentor to guide you, they help you sort through any chaos that’s going on in your head. They push you to take action, in many instances a lot more quickly that you would have on your own. And they hold you accountable to getting the things done you’ve committed to doing. Your mentor helps you focus on the things that will make the biggest impact on your results. Then you can finally get on the right path to living the good life while you make life better with your business. You don’t have to wander around trying to figure out what works and what doesn’t. You can reach your goals faster by working with someone who’s already been where you want to go. So follow the path of numerous successful entrepreneurs, and masters of their craft that have gone before you. Work with a light shiner who can help you get on the most direct path to your business goals. It will be well worth your investment. Hi Sonia, how are you? I have been a bit slow in starting my business. Actually, it is a nutritional company I am have signed up with only Wednesday. I just needed some material to saturate my mind before getting involved. The article I just read was indeed uplifting. I am pulling all my matrials together and heading out to sign up some interested distributors. The business is a network marketing opportunity. Gillian – congratulations on getting started with your new venture! Very exciting. I hope all went well and you were able to gets lots of new great partners as distributors.